HomeEDITORIALMore questions than answers : Maada Bio does not own jeep used to kidnap victim, but did he lie to the Police that he’s the owner ? If so, Why ? Why? Why ? There are more questions than answers about the incident that happened at Moyamba Junction on Saturday. A HUMAN BEING was allegedly kidnapped by some operatives of the opposition Sierra Leone People’s Party (SLPP ) who claimed that the man had tried to cheat them on the price of petrol at a fuel station. DID MAADA BIO LIE THAT HE OWNS THIS JEEP USED TO ALLEGEDLY KIDNAP A MAN ? IF SO, WHY, WHY , WHY ? According to reports, they beat the man up, then tied him and threw him into the boot of their jeep .They said they were planning to take him to the Police station ( What a way to arrest a man ) but passed by many police stations and drove 71 miles with the victim before they said they took him to the Masiaka Police Station. Versions vary .While the lawless men claimed they voluntarily took the man to the Police station, a relative of the victim told the press that he called the Police and alerted them about what seemed to him like a kidnapping incident involving a green jeep. The man is saying that the alleged kidnappers only took their victim to the Masiaka Police Station when they knew that the Police was already looking for the jeep. MAADA BIO : WHAT BUSINESS HAS HE GOT WITH THE ALLEGED KIDNAPPING INCIDENT ? DID HE ORDER POLICE TO RELEASE THE JEEP BECAUSE IT IS HIS’? IF SO, WHY DID HE HAVE TO LIE ? WHAT IS THIS MAN COVERING UP ? If as we are now learning from Dr. Blyden herself that the jeep did not belong to Bio , we want to ask a few questions that should be pertinent to any investigator : Why did a whole presidential candidate ask that a vehicle that had been involved in a suspected crime be released ? On what grounds was Bio asking for the jeep to be released ? Why the interest in the jeep anyway ? We learn that he uses the jeep once in a while . Really ? Does he have any ties with the individuals who used the jeep to commit an alleged kidnapping ? Did he know their mission that day ? Did the presidential candidate tell the Police he was the owner of the jeep ? If so, why, why , why ? If the jeep did not belong to him, why did he lie that he owned it ? Was he trying to subvert justice ? What is the nature of his interest in the whole saga ? Why did one of Bio’s paid hirelings, Kalilu Totangi lie in an article to the press that the jeep belonged to the violent individual that won the recent bye-elections in Fourah Bay after his supporters stabbed five members of the ruling All People’s Congress ( APC ), Mr. Mohamed Kanu-Mansaray ? Why all these lies by people claiming to be honest and the only ones fit to rule Sierra Leone ? What do they really know about this alleged kidnapping affair ? What are Bio and his graceless stooge Totangi trying to hide ? SIERRA LEONEANS, BEWARE ! ! ! THERE ARE MORE TO THIS SINISTER MAADA BIO THAT WE ALL MAY NOT KNOW NOW . 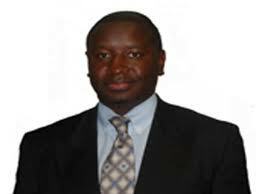 Last Saturday, I was told by senior police officers at Masiaka that persons from the SLPP Headquarters in Freetown had phoned Masiaka to tell them the green jeep with number AFQ 968 belongs to JULIUS MAADA BIO. I asked the police officers if they had seen the documents (license & insurance) for the vehicle stating the owner to be Bio and they responded that they were sure because Maada Bio himself had called the Masiaka Police over the issue of the vehicle and requested that the vehicle be released by the Police as he was the owner. With my wide experience in newspaper journalism (spanning over 20 years now), I know that when it concerns an important figure in the national polity, even if you hear the allegation from top police sources, you do NOT take it for granted but you check and double check and triple check to cover all bases. This is why I REFUSED to mention the name of Julius Maada Bio as the owner of the Jeep even though the Masiaka Police Officers had claimed thus. Other local newspapers (notably Paul Kamara’s FOR DI PEOPLE) were not as cautious as me and they ran the story with screaming front page headlines today about Bio being the owner of the vehicle. Well, this morning I set my investigative team to carefully unravel the ownership of the vehicle and I can definitely state with full authority that contrary to what Maada Bio allegedly told the Masiaka Police, JULIUS MAADA BIO is not the owner of the vehicle although he has been using it in his convoy of vehicles. 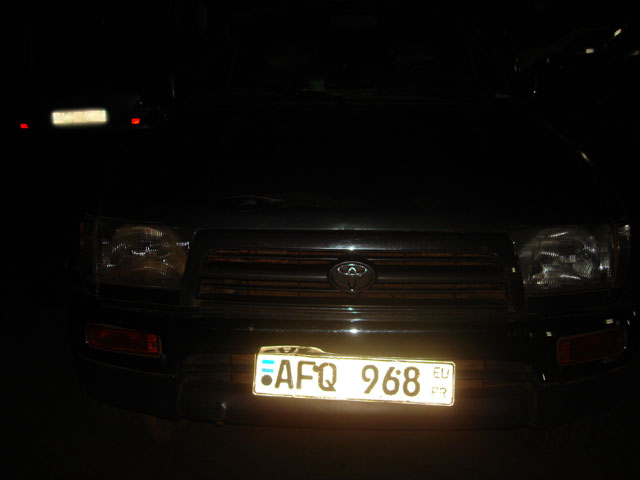 So, who owns the vehicle with registration number AFQ 968? Well, our research today has taken us from Road Transport Authority at Kissy Road, to #17 Fourah Bay Road to the Administrator and Registrar General’s Office at Roxy Building, Walpole Street to the United States of America and back down to the Awareness Times offices. It is an interesting tale to tell… Stay tuned for it in either tomorrow’s Awareness Times or in Wednesady’s edition. We are still waiting for a phone call from America. If the expected phone call comes in to the office on time, the full details of the ownership of the vehicle will be out tomorrow. If it does not come in on time, the details will be out on Wednesday. One thing I can CONFIRM authoritatively is that the vehicle does not belong to Maada Bio nor does it belong to Councillor Mohamed Kanu-Mansaray as is now being alleged by the pro-SLPP New People and Kalilu Totangi. Maada Bio and Kanu-Mansaray both use the vehicle but neither of them is the owner. Meanwhile below this post, I will post an article by Kalilu Totangi which speaks volumes of the role I played in ensuring this matter was not swept under the carpet by the Sierra Leone Police. When reading the article, please ignore the fluff in the article (i.e: insults he throws at me) and focus on the issues Kalilu has unwittingly raised of how the police almost killed this SERIOUS CRIME had it not been for my LOUD intervention. Meanwhile, my information is that the SLPP kidnappers will be charged to court tomorrow on a range of charges to include kidnapping, unlawful detention, assault occasioning bodily harm, wounding with intent. It appears that the missing person who was ‘present’ from Moyamba to Masiaka but ‘absent’ from Masiaka to Freetown has been apprehended by the Police and will be co-charged alongside the four other detainees I earlier mentioned to be Gibril Conteh, Hindolo Moseray, Victor Vandy and Mohamed Kanu-Mansaray.